Are you located in East Acton or West Acton, W3 London and need professional carpet cleaning services? Most carpet manufacturers advise their clients to clean their carpets at least 1-2 times a year. However, cleaning a carpet is a very exhausting job and can take up to several hours depending on the size and condition of the carpet. The worse thing is that no matter how hard your scrub, there are some stains that won’t be removed. This is why we advise you to leave carpet cleaning to professionally-trained cleaners who use modern cleaning equipment and utilize contemporary cleaning methods that get rid if the toughest stains. 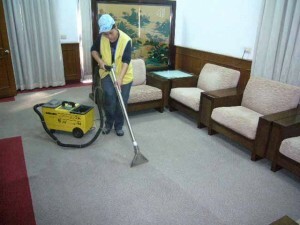 Our mission is to provide professional carpet cleaning services which’s quality is unmatched. OF course, we also try to keep our prices affordable in order to attract more clients. If you are looking for the best value for money, then we should be your choice. Our devoted and young cleaning technicians are familiar with the most efficient carpet cleaning techniques. They have been properly trained and we guarantee for their reliability and responsibility. We have a 95% success rate when it comes to removing stains. Usually, the cleaning process consists of several stages which dissolve and get rid of the toughest stains. When our workers are done cleaning, they’ll inspect the carpet in order to check for residue and stains. If they find a problem, they’ll repeat the cleaning procedure for free. Save hand pains and hours spent in scrubbing your carpet on the floor by using our carpet cleaning services. Our carpet cleaners will provide you with overall and professional vacuum cleaning, and deep-cleaning with steam and free-chemical detergents at the lowest possible price. We guarantee that our technicians will remove every stain of your carpet in no time. If you are not pleased with their work, we will send you another team to clean you carpet again for free. All the residents in East and West Acton can keep their carpets fresh, clean and bright by booking our services. Get your personal quote now!